Regardless of your degree subject, we believe all graduates possess the skills to fuel an exciting career in technology. FDM offers numerous career paths for you to choose, and that’s why in 2017, we launched the careers of 910 graduates. 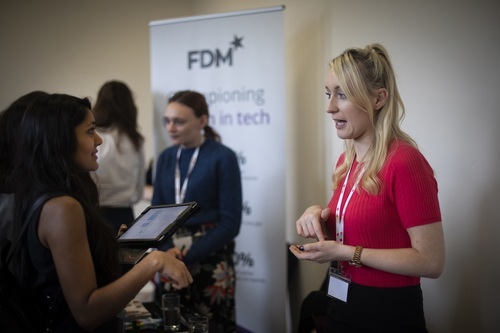 As the UK’s leading IT Graduate Employer, FDM Group is a FTSE 250 employer with a global footprint working with some of the world’s most reputable organisations such as HSBC, AXA, Save the Children and Virgin Media. We currently have over 3,000 consultants on-site. We have a variety of programmes to train on, including Software Development, Business Intelligence, IT Service Management and Software Testing.